Over the next few weeks I am going to be give you a few book suggestions for your TBR list. 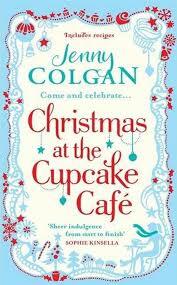 If you have not already you must read Meet me at the Cupcake Cafe before reading the Christmas book. This December, Issy will have to rely on all her reserves of courage, good nature and cinnamon, to make sure everyone has a merry Christmas, one way or another …………..